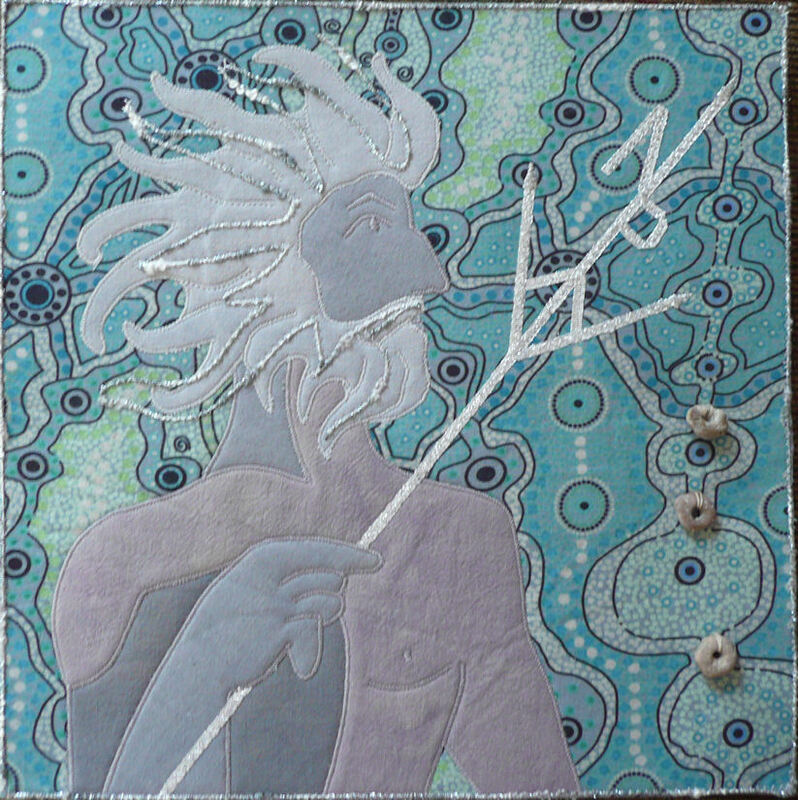 Neptunium was named for the planet, which was named for the Roman god of the sea. The three doughnut-shaped “stones” stitched to the piece are fossilized segments of crinoids gathered from the shores of Lake of the Woods, Minnesota’s northern sea. This entry was posted in Rare Earths: Actinide Series, View All Elements and tagged Clare. Crinoids making their way onto your elemental piece! I am impressed!